Who you are today, does not define who you will be in the future. Who you are today, is simply you at this moment in time. It doesn't mean you have to stay this person forever. You can grow both mentally & physically - you can change. You can evolve. It's not easy, but most things worth while aren't. Change takes work, dedication, & introspection. It means taking good hard looks into yourself, performing honest self evaluations, building upon your strengths, & trouncing your weaknesses. It means taking leaps of faith, trusting your gut, & throwing your heart to the wind. 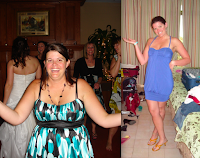 If you're over weight and you hate it - change! Make a plan, get a coach, eat well, put in the work & be dedicated. If you hate your job and you've always wanted to own your own business - change! Save your money, develop a plan, invest in yourself/education, quit, get your business going, & don't look back. If you're partner is terrible and your depressed all the time - change! Leave them, focus on you & what makes you happy, get a hobby, be selfish for a while, & grow! The trail towards your change (growth/evolution) will be mired with obstacles. Friends may not understand, family may disapprove, & you may need to let go of people. The hardest part - you will doubt yourself at times. But, with hard work, consistency, honesty, & conviction - you will grow. You are not defined by who you are in this current moment. Take action towards your goal, it doesn't have to be perfect. Imperfect action is still action. The time is never right - but the time is right now. Take flight - don't just be, be great. of where you live in the world. Evolve your body & life today. The prone cobra, or locust pose, is a favourite of most yogi's and fitness professionals when they're developing a clients core strength. The only thing is, depending on the person, it may be causing more harm than good. With the traditional prone cobra, there's a large amount of stress put on the lumbar spine (lower spine) due to most people hinging from that area during the movement. This may cause pain for those with existing back pain or even those without pain. Many people have issues when they hyper extend through the spine, this is why I hardly ever program the prone cobra for clients. However, I do prescribe what I like to call the "Iron Cobra". 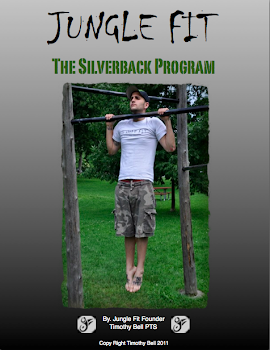 The Iron Cobra focuses on the thoracic spine (mid back) and flattens the lower back avoiding the stress that's placed on it from the prone cobra. The thoracic musculature is an area I find lacking in many clients. This usually shows up in the form of bad posture - rounded shoulders & hunching of the mid back. The Iron Cobra helps develop the strength of those dormant thoracic muscles, improves your posture, and it avoids hyper extension. Watch the YouTube video to learn how to perform the Iron Cobra. through your journey towards becoming the best you, that you can be. The popularity of "movement" based training is building by the day. More and more people are becoming interested in how to effectively move their bodies - this is a step in the right direction. The majority of people (unless your a bodybuilder/ figure competitor) need to move away from isolating muscle groups in their training. Your body doesn't isolate muscles during your daily movement through your life. Your whole body works as one giant unit - pushing and pulling as a team and hardly ever in isolation. This is where I love movement training as a concept. 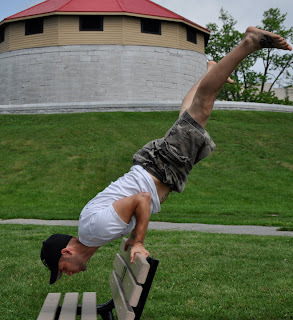 The problem I have with most "movement" based training is that it seems to be mostly pitched to the general public as "how to crawl around" or "how to handstand". Most of the #Movement that you find on Instagram are just people crawling or performing handstands. 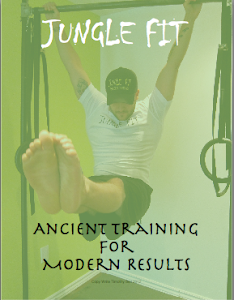 What people must understand is that movement training is much more than that. 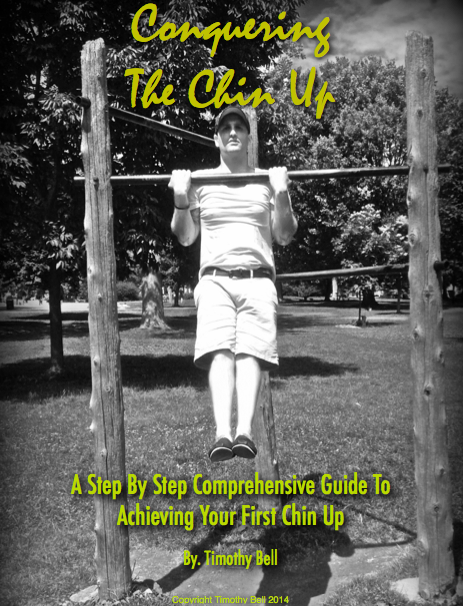 Before you worry about learning how to lizard crawl, press to handstand, or chicken wing yourself from gymnastics rings - base your training on improving your actual daily movement. That other stuff is fancy and cool, but it's not the heart of your movement as a human. anywhere in the world using his "Minimalist Fitness"
The squat is an essential human movement that gets used daily for a multitude of tasks. We squat to get up from our chairs, we squat to pick up objects from the ground, we can even use the squat as a resting position. However, most people have trouble performing the squat. 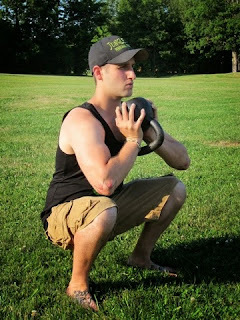 If you have trouble performing a full squat, it means your full movement potential is limited. If your movement potential is limited then you're more likely to become injured. In my latest article for Whole Life Challenge I teach you why must be able to squat, what common issues are preventing your from squatting with ease, and how you can correct those issues. Learn more in my latest article here. 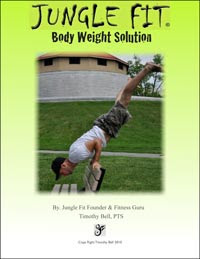 through minimalist fitness, anywhere in the world!